Experiments and analyses carried out by more than 250 scientists from 20 German institutions clearly indicate that ocean acidification and warming, along with other environmental stressors, impair life in the ocean. A brochure summarises major outcomes of the project for policymakers and the public. Members of the project Biological Impacts of Ocean Acidification (BIOACID) will also be present at the United Nations climate change conference COP23 in Bonn. As a gigantic carbon sink, the ocean absorbs about a third of the carbon dioxide (CO2) released into the atmosphere by human activities. But when absorbed by seawater, the greenhouse gas triggers chemical reactions causing the ocean to acidify. Ocean acidification affects ecosystems and important benefits the ocean provides to humankind. This includes the regulation of the Earth's climate, food provision, recreation and biodiversity as a condition for intact and functioning ecosystems. "Humans need to see themselves as part of a global system and understand the many ways we depend on the ocean and its services. 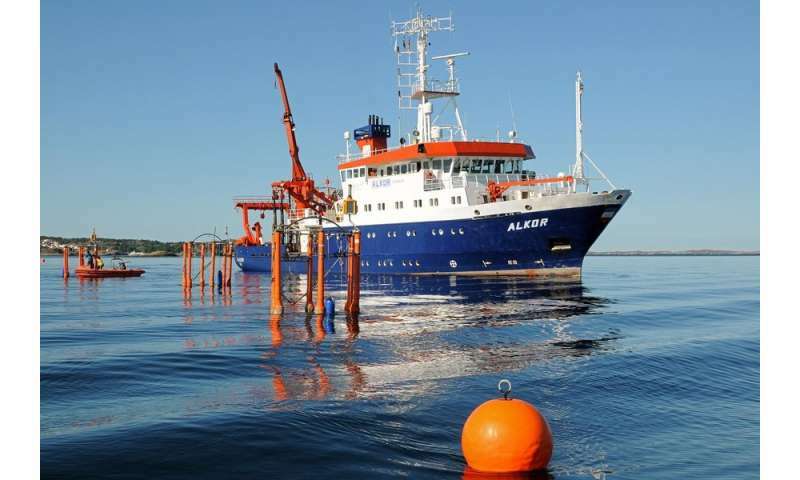 Because everyone in this global community will be affected by climate change, it will be for our own benefit if we manage to reduce carbon dioxide emissions in such a way that global warming is limited to less than 2 degrees Celsius", says Prof. Ulf Riebesell, marine biologist at GEOMAR Helmholtz Centre for Ocean Research Kiel and coordinator of BIOACID. "The future of this planet depends on us. Wouldn't it be a great achievement if the anthropocene, the age of human dominance on Earth, goes down in history as an era of rethinking and changing behaviour?" According to Hans-Otto Pörtner, co-coordinator of BIOACID, all countries would need to reduce their carbon dioxide emissions drastically by the middle of this century if they wish to reach the Paris climate targets. "The current world climate report indicates clearly that net-zero emissions are a precondition for limiting global warming to well below 2 degrees Celsius. However, reducing CO2 emissions alone may not be sufficient. Net removal of CO2 from the atmosphere would have to contribute. This is already technically possible, but the challenge is to develop and implement the respective technologies at a larger scale. The later the emission reductions start and the longer this process takes, the more difficult and costly it becomes to stay in line with the Paris agreement." 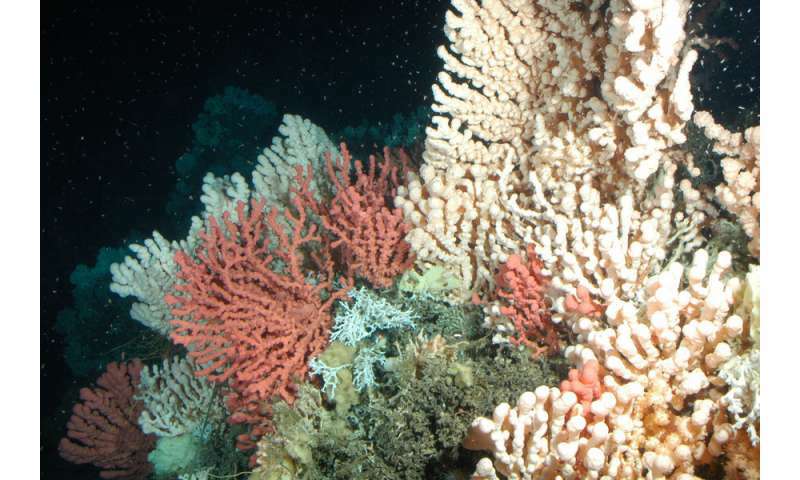 Changes in the ocean carbonate system impact the acid-base balance in marine organisms. This can negatively affect key processes such as calcification. Many organisms are able to withstand ocean acidification, but may lose this ability if also exposed to other stressors such as warming, excess nutrients, loss of oxygen, reduced salinity or pollution. A reduction of regional stress such as nutrient runoff or the loss of oxygen can mitigate the impact of global stressors like ocean acidification and warming. In a natural community, the impact of stressors on a species can be amplified or diminished by associated shifts in biotic interactions such as competition, predation or parasitism. Even small alterations at the base of the food web can have knock-on effects for higher trophic levels. Marine life is able to adapt to ocean change through evolution and can partly compensate for negative effects. However, since ocean acidification happens extremely fast compared to natural processes, only organisms with short generation times, such as microorganisms, are able to keep up. About half the tropical coral reefs can be preserved if carbon dioxide emissions are limited to concentrations that keep global warming below 1.2 degrees Celsius. However, additional risks posed by ocean acidification are not included in this forecast. Ocean acidification reduces the ocean's ability to store carbon. Climate change alters the availability of prey for fish and as a consequence may affect their growth and reproduction. Ocean acidification and warming reduce the survival rates of early life stages of some fish species. 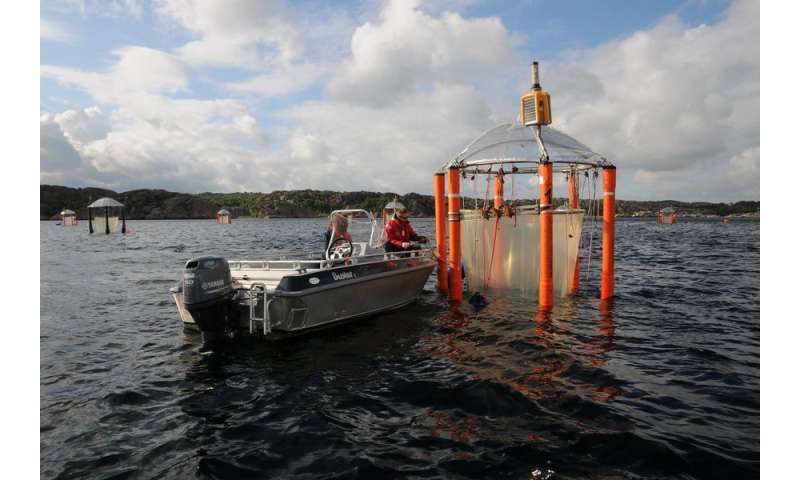 This will likely reduce recruitment of fish stocks and ultimately fisheries yields. The distribution and abundance of fish species will change. This will have a significant impact on economic activities such as small-scale coastal fisheries and tourism. It is crucial to consider ocean acidification and warming in the management of fish stocks and marine areas. Following the precautionary principle is the best way to act when considering potential risks to the environment and humankind, including future generations. Even if the extent of possible risks is not fully understood, precautionary measures need to be taken in order to avoid or reduce the harm. A more sustainable lifestyle and economy require an interaction between society, businesses and politics. Political frameworks should regulate the phase-out of fossil fuels. It is crucial for every one of us to reconsider concepts of normality and adjust behaviour in everyday life. Weird, I vaguely remember around 30 years ago a prediction that in 10 or so years the oceans were going to die unless the usual 'solutions' weren't implemented immediately. I guess this time around it's for real. Or maybe it's pretty much part of the same thing? Enjoy your shellfish this Christmas. It's not going to be around much longer. 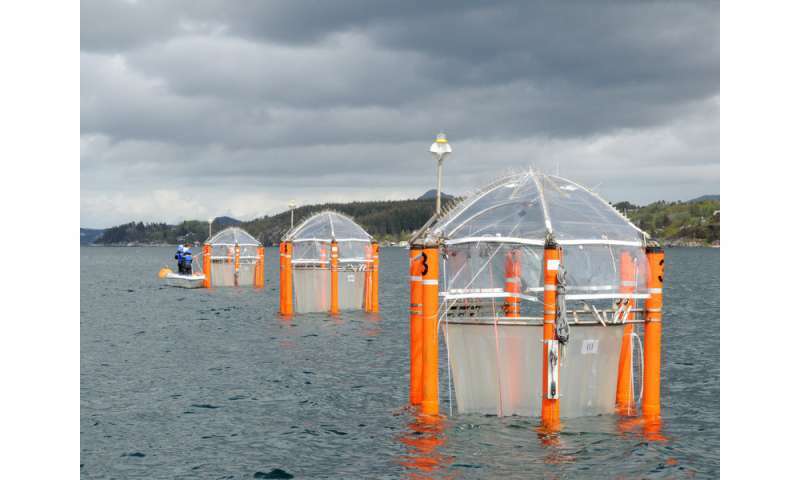 "Experiments and analyses carried out by more than 250 scientists from 20 German institutions clearly indicate that ocean acidification and warming, along with other environmental stressors, impair life in the ocean." Does anyone research this nonsense that is presented here? It is well known that warm water gives up CO₂ & it is cold water that absorbs it. "September Sea Surface Temperatures (SSTs) are now available, and we see downward spikes in ocean temps everywhere, led by sharp decreases in the Tropics and SH, reversing the bump upward last month. The Tropical cooling in particular factors into forecasters favoring an unusually late La Nina appearance in coming months. HadSST is generally regarded as the best of the global SST data sets, and so the temperature story here comes from that source, the latest version being HadSST3." "As a gigantic carbon sink, the ocean absorbs about a third of the carbon dioxide (CO2) released into the atmosphere by human activities. But when absorbed by seawater, the greenhouse gas triggers chemical reactions causing the ocean to acidify." What are these clowns using for a base line for their claims about ocean acidification? It would appear that the alarmist worries about acidic oceans is pointless since where is the base line since the pH scale didn't exist before the concept of pH was first introduced by Danish chemist Søren Peder Lauritz Sørensen at the Carlsberg Laboratory in 1909? At present the pH of sea water is 8, or a base reading. Ocean Acidification can never occur because of the buffering action of calcium carbonate. Our oceans are solidly basic with a pH of about 8.0 that varies a little depending mostly on ocean temperature. Increasing atmospheric carbon dioxide will only decrease alkalinity (pH) a tiny amount, far less than natural variations. God JDoug, How many times!?! If we increase the amount of CO2, we increase CO2 uptake by the oceans. Yes, the increasing temperatures will reduce the solubility of the CO2 itself but WTF cares when the volume of CO2 emitted has increased so significantly. Tellingly, nobody has said it is the warming oceans that are resulting in acidification. The sentence you quote even says "acidification AND warming". This is the perfect exemplar of the strawman fallacy as you continue to attack arguments literally nobody is making. God leetennant, How many times!?! Have you ever heard of this proven FACT, leetennant? I know that people like you never look at what is logical and obvious when you have your boogeyman in the sky, CO₂, to blame for your hair falling out and hurricanes. Well good. German scientists worry about acidifying the oceans as their government decommissions their cleanest, safest power plants—nuclear—and increasingly relies on intermittent power from wind and solar which requires more backup from base load power plants fueled by guess what? Coal: and the most polluting form of it, lignite, which also emits the most carbon dioxide when burned. Ironic, eh? Being green means never having to say sorry for being stupid. The Ivanpah solar plant burns substantial amounts of natural gas, making it a greenhouse emitter under state law. ]…]The Ivanpah plant in the Mojave Desert uses natural gas as a supplementary fuel. Data from the California Energy Commission show that the plant burned enough natural gas in 2014 – its first year of operation – to emit more than 46,000 metric tons of carbon dioxide. […]The plant, which was developed by Oakland-based BrightSource Energy, was approved in 2010 amid questions about its cost to taxpayers and the facility's effect on the desert environment. @J_Doggystyle if @askdad was soooo goood why is it so dirty, I mean coal is foul. Fossil fuels are as dirty as crap. Loaded with mercury and other toxic pollutants. Your clip-n-save cut-n-paste doesn't help your argument to completely tax the carbon sources and for people to cleaner renewable sources. Sooner or later civil society needs to move on from arguing with idiots. I think there's a phrase... throwing pearls before swine?